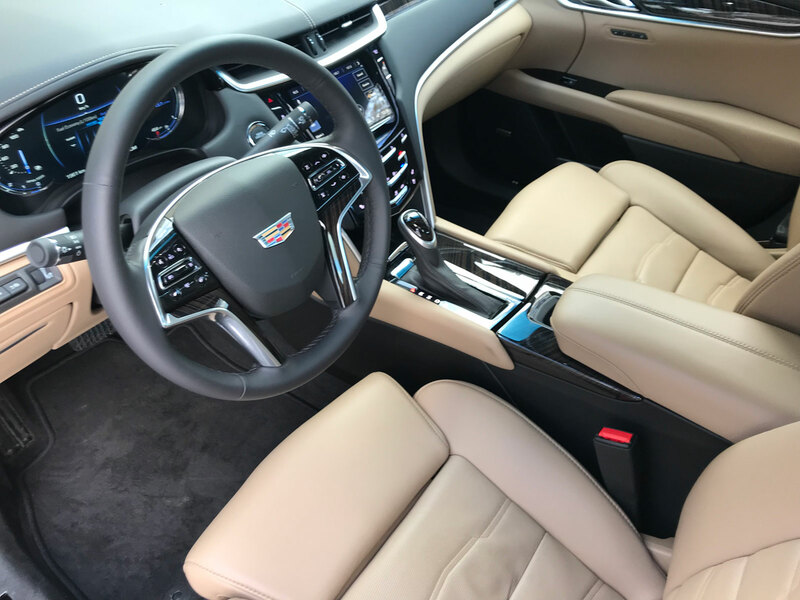 Cadillac’s XTS is back for 2018 with a light refresh, which may have come as a surprise to some considering the XTS is likely on its way out after 2019 according to comments made by GM CEO Johan de Nysschen to GMInsideNews. 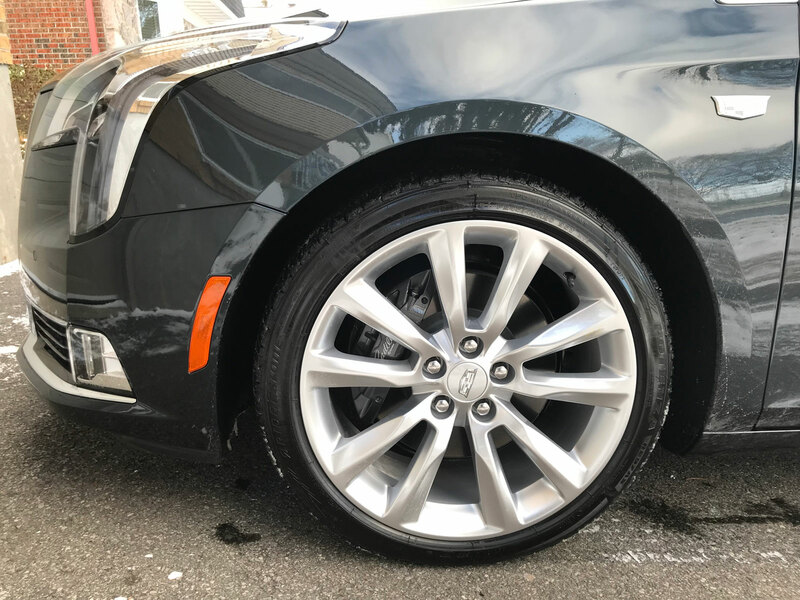 The existence of both the CT6 and XTS also poses questions since they are both, after all, full-size luxury sedans. 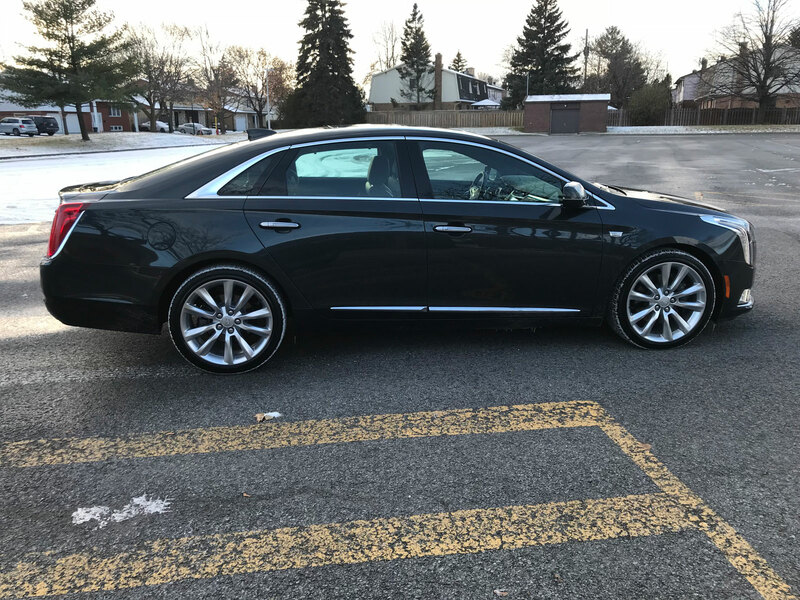 So what is the difference and why does Caddy have two of seemingly the same car in its lineup? 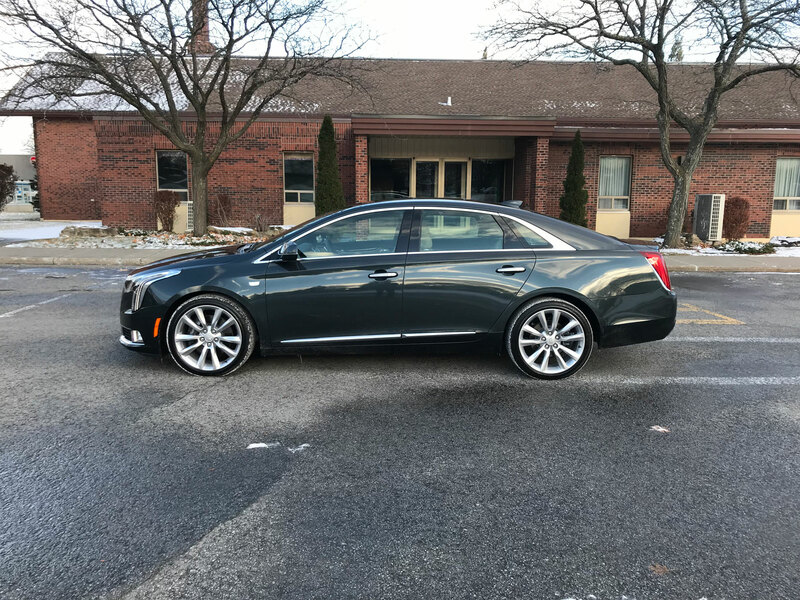 The XTS is a favorite with limo and funeral fleets and as a consequence still sells very well. 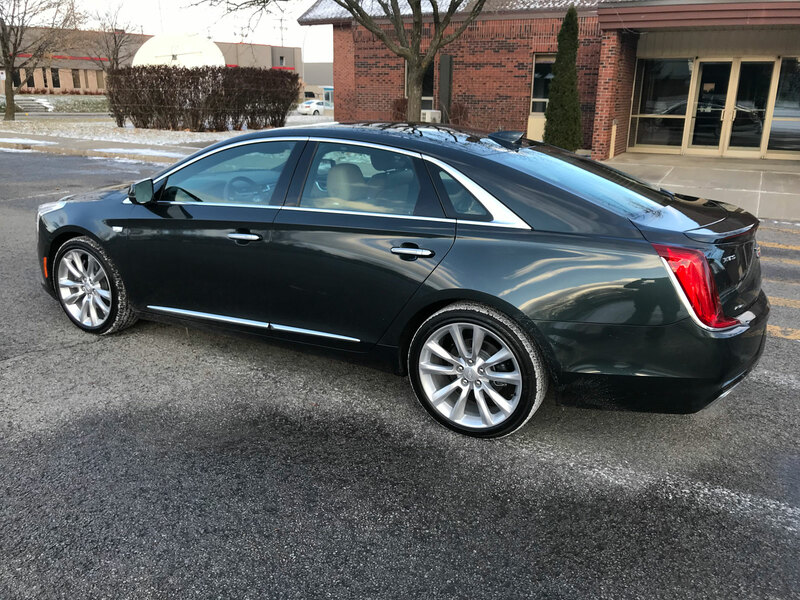 While both are offered with all-wheel drive the XTS comes standard with front-wheel drive and the CT6 comes standard with real-wheel drive. 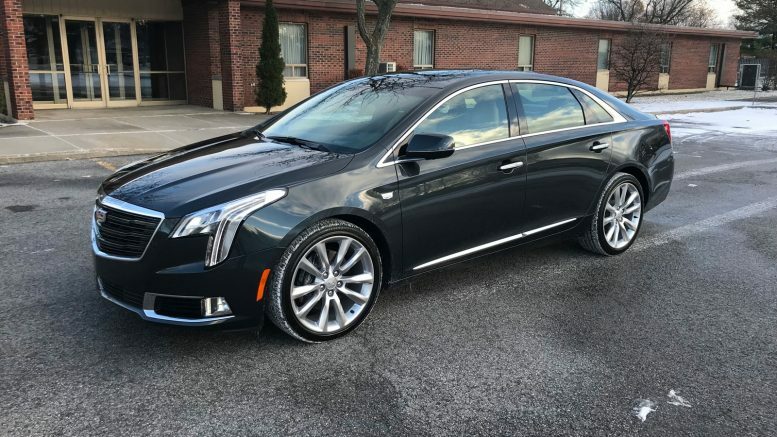 The XTS is slightly smaller in length measuring 202 inches to the CT6’s 204 inches. 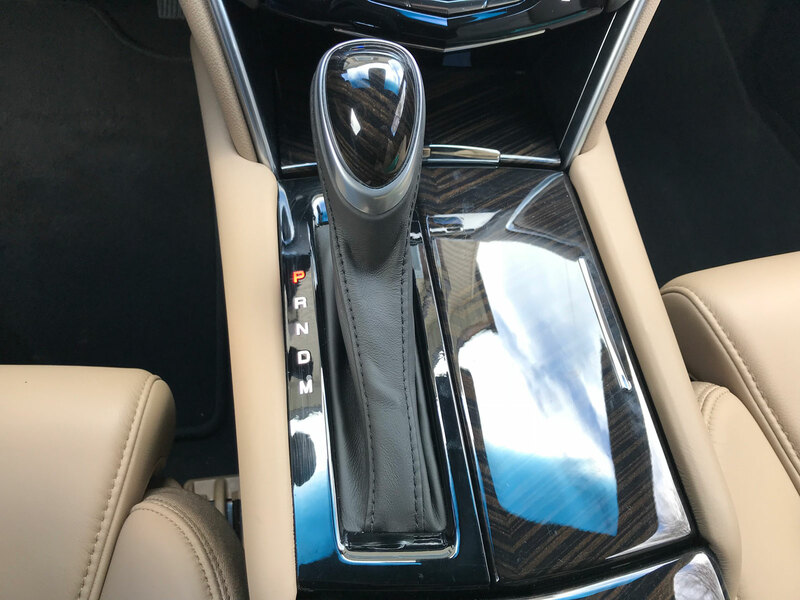 The interiors ae vastly different (more and this later) with the CT6 holding a massive edge in this department. 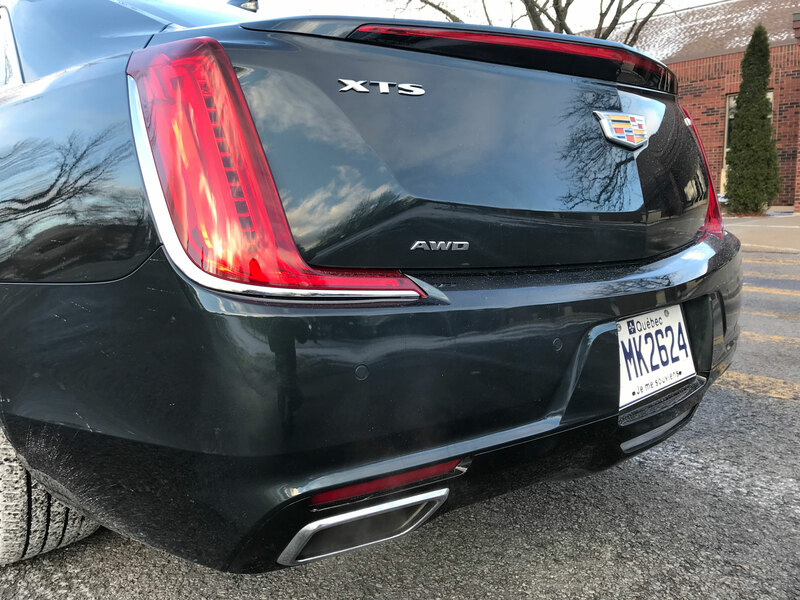 There is a nifty 2.0-litre turbo four-cylinder available in the CT6 but absent on the XTS however both also share different versions of a 3.6 V6 with the most powerful one being the twin-turbocharged edition on the XTS V-Sport tested in this review. 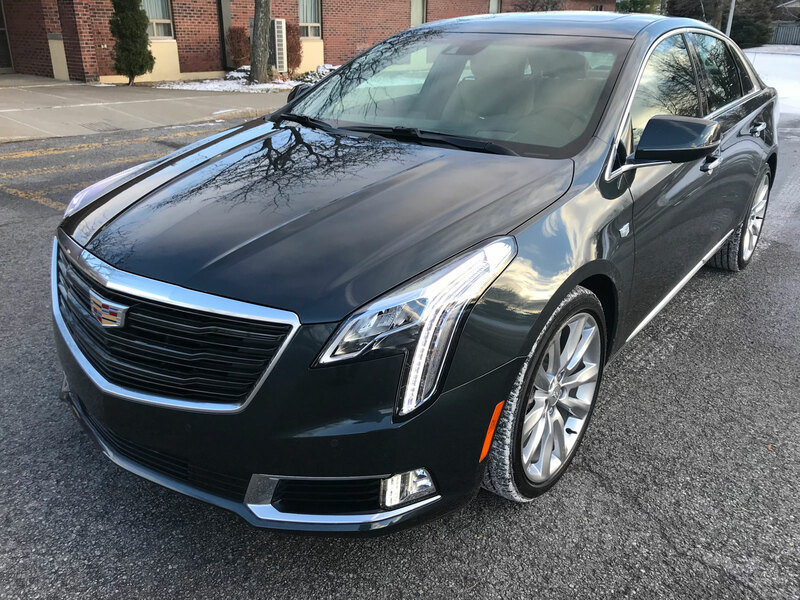 Let’s stick to talking about the XTS and its refresh for 2018. 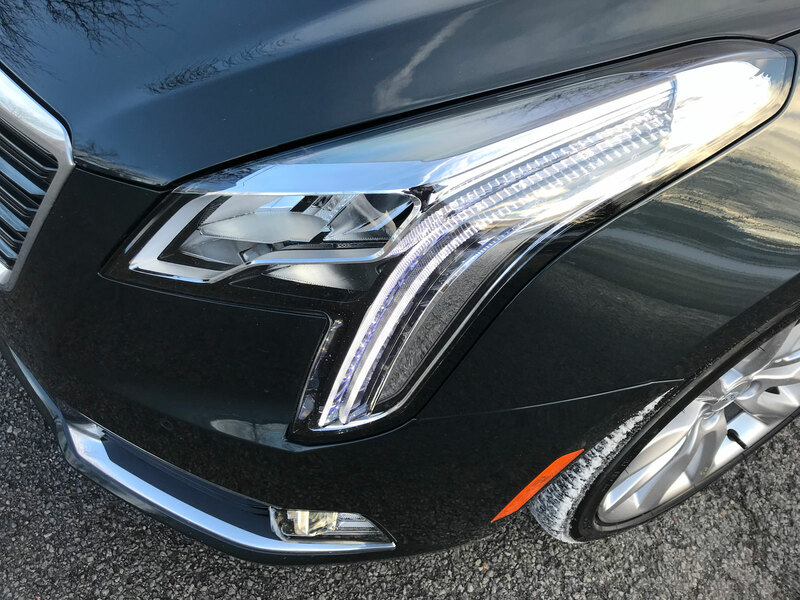 The exterior receives Cadillac’s new design language with the (as I like to call them) fang-tastic front LED headlights. 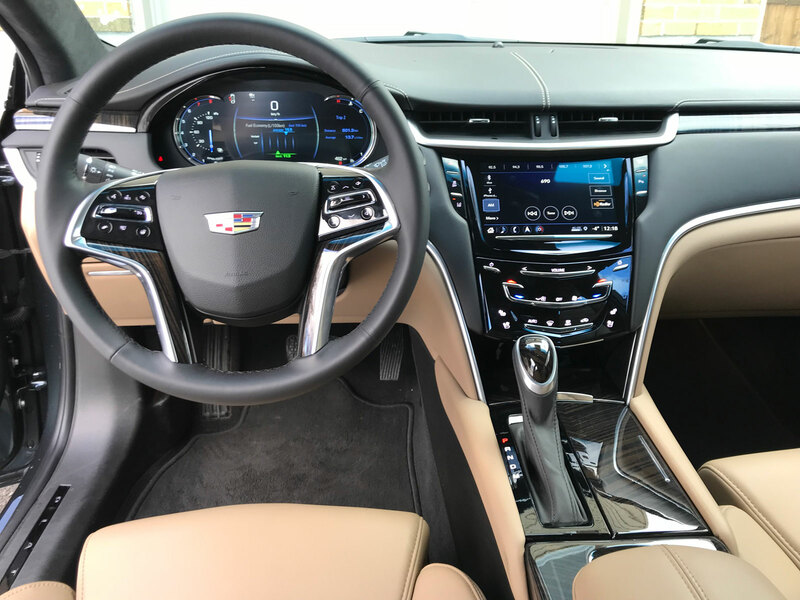 They are a gorgeous element to the styling which makes the vehicle instantly recognizable as a Caddy – a fact which my parents were all too happy to point out as I pulled into their driveway at night. 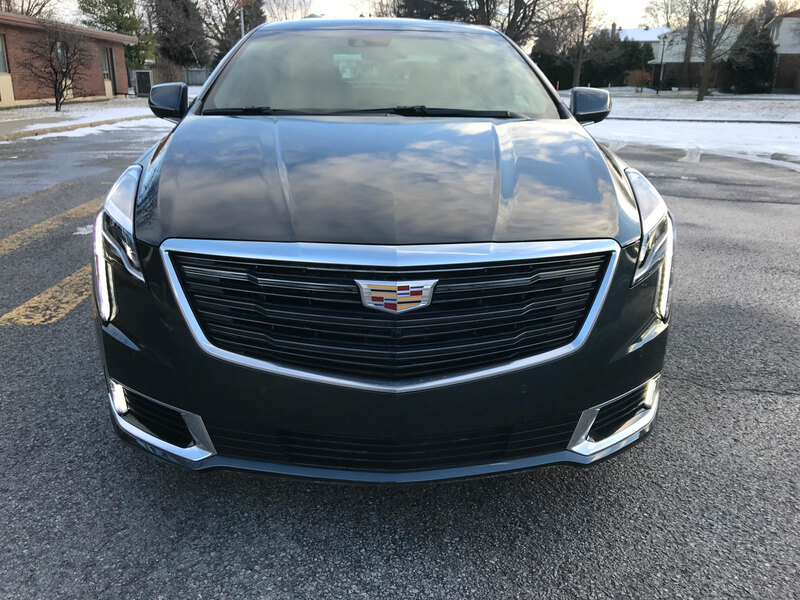 The extended vertical lighting runs down the sides of the front end and mesh nicely with a lower portion next to the fog lights to create the very tall and sleek Cadillac signature appearance. The rear taillights are also slightly tweaked compared to the 2017 model and are now LED with horizontal elongations moving inward toward the license plate. New fenders for the front and rear fascias plus a new grille round out the exterior updates. 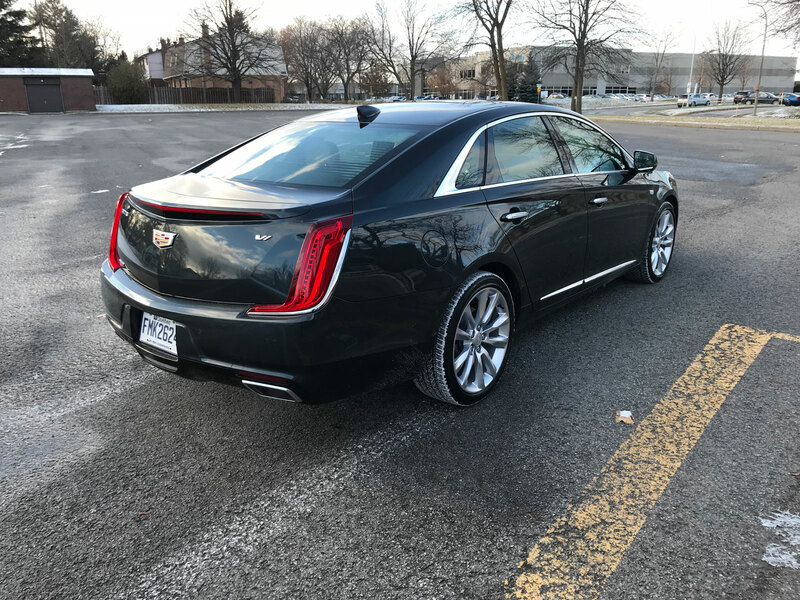 Under the hood of the V-Sport model we find a monster twin-turbo 3.6-litre V-6 headlining the XTS’ powertrain lineup delivering 410 horsepower and 369 lb-ft of torque. The pair of turbochargers and an air cooler help provide more immediate power delivery and it’s noticeable because I experienced very little turbo lag. Acceleration is lighting quick and the V-Sport was one of the more fun sedans I’ve had the pleasure of kicking around. The standard 3.6-litre V-6 is rated at 304 horsepower and 264 lb-ft of torque. Both engines are matched with six-speed automatic transmissions and tap-shift control. 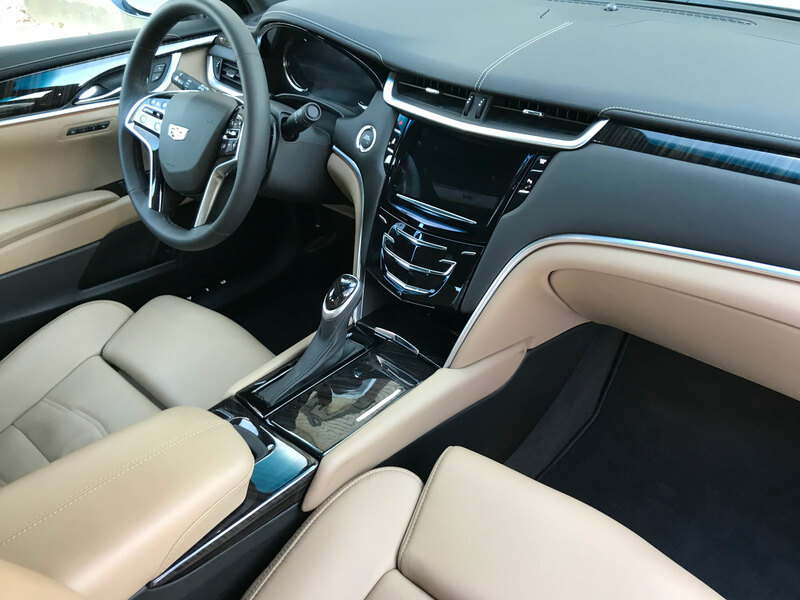 The interior of the XTS is quite lovely and features authentic cut-and-sewn materials with revised colors and accents for 2018. 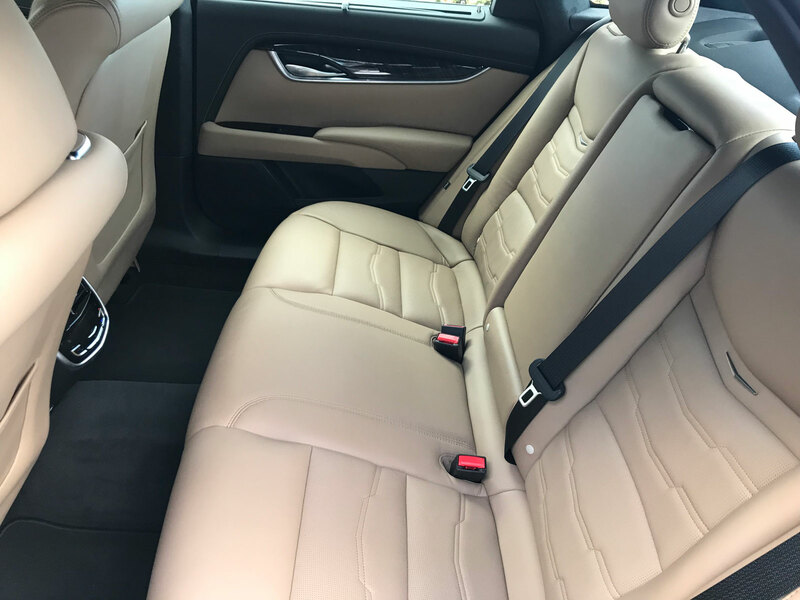 Platinum models feature a leather-wrapped interior with microfiber suede headliner, as well as premium wood trim on the steering wheel, console, center stack, instrument panel and door panels. I have to say the overall quality did impress me. 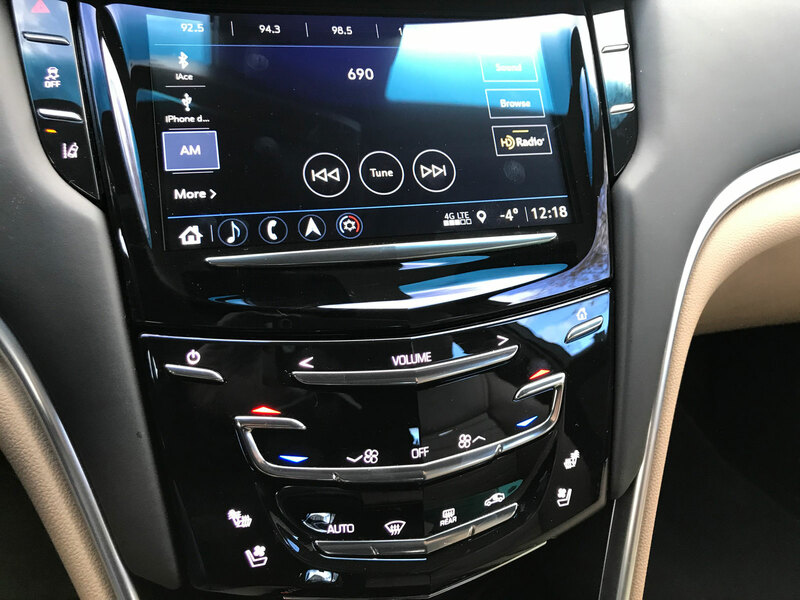 There is one aspect to the XTS which I need to focus on because I find it to be pretty big deal: the controls. 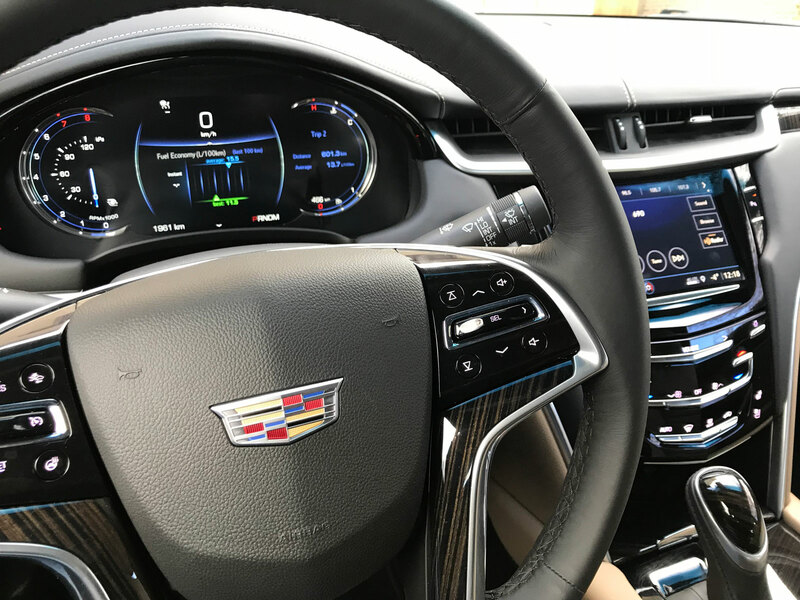 The XTS uses haptics to control audio, climate, and a few other vehicle functions. A haptic is not a button but rather a surface that you need to lightly touch with your finger to get a response. The button kicks back at you to indicate you’ve pressed it. The home button on an iPhone 6 or 7 is a haptic for example. The problem with using haptics for the volume is that it’s impossible to make any quick adjustments. It’s one tap at a time. There are volume controls on the steering wheel (thank goodness) but a knob is very sorely needed. The same goes for the climate controls. I found myself tapping the heck out of the dash to get the desired temperature changes because more often than not, they simply didn’t work! You need to press them in precisely the correct manor or nothing happens. There are haptic controls for the rear seats as well and my passengers were unable to operate them even after I explained how. Making quick changes to volume and climate is something I do (and I think most other people do too) many times on even a short drive. To not be able to do these things was so incredibly frustrating it’s hard to put into words. To find out if I’m alone in my opinion I checked online discussion forums for people’s opinions on the haptic system. While I did manage to find a few people who “didn’t mind” the haptics the overwhelming majority of the responses were negative. I’m sorry to say but the system is simply a deal breaker. 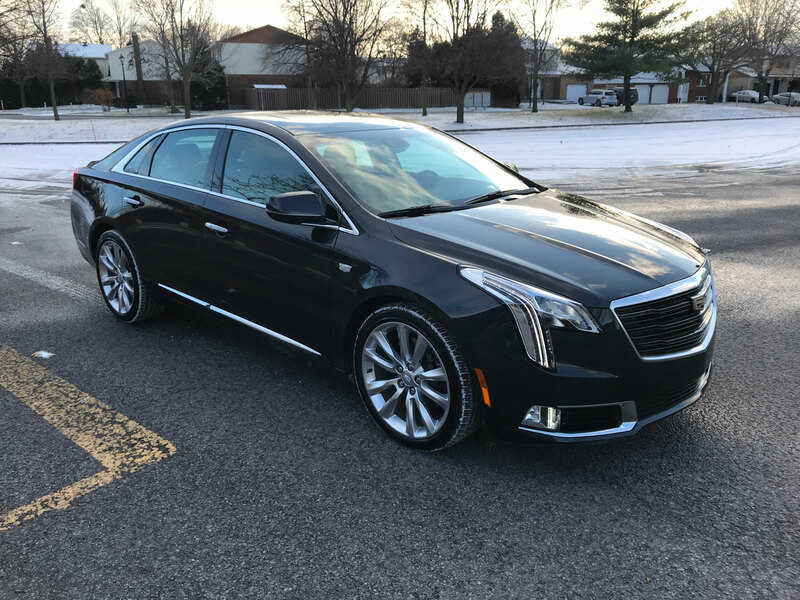 If you find yourself one of the ones who can tolerate the controls, the 2018 XTS starts at a very reasonable $50,835 and the Platinum V-Sport front-wheel drive at $70,160. My V-Sport tester with all-wheel drive rings in at $77,960 plus transport.